LESLIE Robert Tilley was born in Enfield, Essex, on 11th April 1889, into a family of light engineers, predominantly well sinkers. The family business, Thomas Tilley and Sons Limited, had been started by Leslie’s grandfather, who’d started life as a coppersmith, approximately 100 years before the birth of his grandson. Leslie was the second child of Ernest John Tilley and Ellen (Nellie) Kain. He was educated at the Royal Grammar School, in Enfield, and studied for a brief period at London University, from which he was removed for, in his own words, “lack of progress”, in 1908. Apparently his love of the rowdy music halls of the time, did not sit well with the academic standards of the university. After leaving London University he was articled to a firm of water engineers in Walton-on-the-Naze, in Essex. 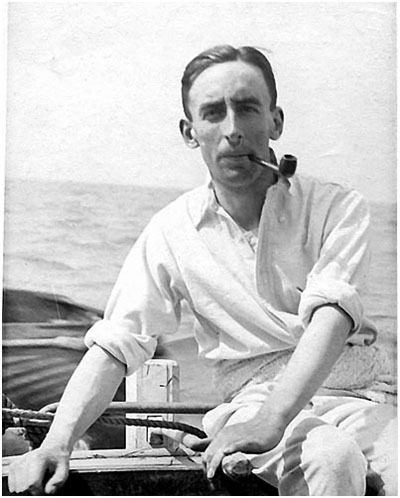 Following the failure of the family business, 25-year-old Leslie found himself apprenticed to another firm of engineers, and spent the summer of 1914, just prior to the outbreak of WWI, supervising the laying of water pipes in the Sunderland area, taking every opportunity, in his spare time, to go sailing along the North East coast. It was only natural that when war broke out, Leslie signed up, as soon as his contract in Sunderland permitted. He was among the first volunteers, all who had bought the promise that the war would be over by Christmas. Thankfully, his previous career and training had left him with the technical skills to join one of the ‘specialist corp’, and he joined a reserve company of the Royal Garrison Artillery, based in North Shields, in December 1914. “As I liked sailing, knew how to use a shotgun, and the technicalities of sending water through several miles of pipe, it seemed only natural to the powers that be that I would be best suited to the principles of long range gunnery. “I was commissioned as a second lieutenant in the Royal Garrison Artillery (Special Reserve), a ‘one pipper’, or ‘terrier’ and a temporary gentleman. “I was posted to the Frenchman’s Point Battery, at Trow Point in South Shields. This had two six-inch guns covering Tynemouth and a 9.2-inch gun at the southern end of the position. Our battery was in the No.3 Military Fieldwork zone, in the local defence scheme. “Our gun batteries weren’t terribly secret. Plenty of foreign seamen were familiar with the layout of the port facilities. Merchant ships from Germany had been regular visitors to the Tyne before the war. The gun-battery at Frenchman’s Point was an open secret, tucked away below a stretch of Railway. So it made no difference to the war effort when the gun position was spelled out in the newspapers. “However, the newspapers also warned that anyone approaching the position without warning, in darkness or in fog, would be shot. “The Gambardiers, as servicemen in the RGA were known, were prized for their understanding of so-called ‘technical’ or ‘slide-rule’ gunnery. We understood the mysteries of range tables, basically how to hit the target at very long ranges. “We also knew the plan for a navigational ‘box’, set up a mile and a half offshore. This had been worked out before the war. All vessels wishing to enter the Tyne were to anchor there to be boarded by the crew of an examination steamer. 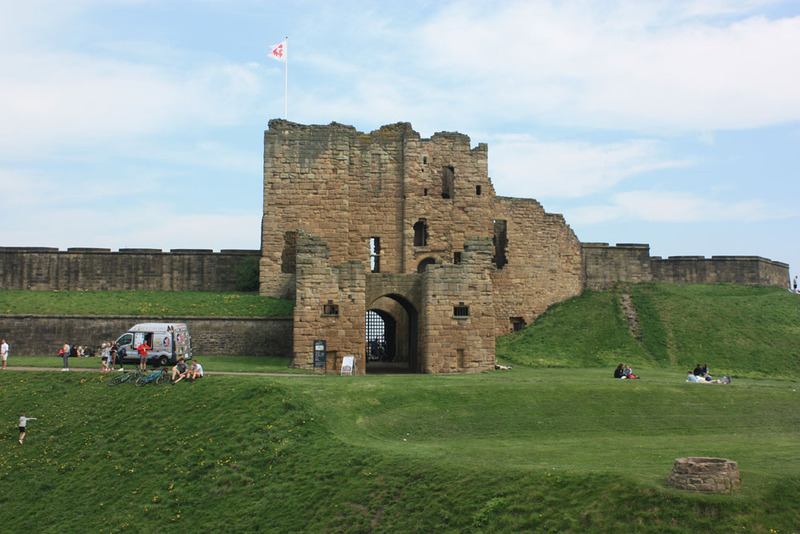 All this took place under the gaze of the 6 inch guns at Spaniard’s Point under Tynemouth Castle. In the event of a ship behaving suspiciously, a single warning shot was allowed. If this was ignored, all guns in range would let fly. “In those early days we were subjected to almost daily battery drills, including the use of searchlights and floodlights, test firings and security exercises, until we could have carried them out as we slept. “The ink had barely dried on my commission when we were put on high alert. On December 16th, 1914, the German Navy launched an audacious attack on the British mainland, including sending six battleships to bombard coastal towns of North Eastern England. “Scarborough was one of the towns hardest hit. Its Inhabitants didn’t stand a chance, as one tonne shell after one tonne shell rained down on the town. It’s estimated that as many as 1,150 shells fell on Scarborough on that mid-December night, killing several hundred people, and injuring dozens more. But it wasn’t all defending British shores against the German navy. The garrison at Frenchman’s Point also had to be alert to help shipping that got into trouble in the sometimes treacherous seas around the North East coast. One such incident involved a Dutch merchant ship, the Sliedrecht, which went ashore on rocks close to Frenchman’s Point. Again, Leslie takes up the story. “On the 18th of March, 1915, the Sliedrecht went ashore at the cliffs at Frenchman’s Point. The officers and men from our battery, and some troops garrisoned on the coast, went to help. “Under law all ships had to carry rockets to launch ropes ashore, if they got into trouble, although on this occasion they didn’t do much good. Someone at the battery called for more rockets to be brought to the cliff-top. An officer of Tynemouth RGA, 2nd Lieutenant Nisbet, was a member of Tynemouth Volunteer Life Brigade and knew how to fire a rope to a ship. While that was in hand four gunners from Tynemouth RGA scrambled down the cliff. When the ship ran out of rockets after only getting a single rope ashore, Lieutenant Nisbet came up with an expedient, lowering a length of metal on a rope. The ship was only five yards from the cliff-face by this time. With two ropes attaching her to the land all 26 crew were saved by the gunners from the battery. “The Dutch captain, and a few of the crew, went back on board once it became clear that the ship wasn’t severely holed. The ship was later salvaged and brought into the Tyne. “On the 15th July, 1915, Zeppelins launched a major raid on the Tyne causing 18 dead and many wounded, the heaviest casualties in any air raid on Britain so far. 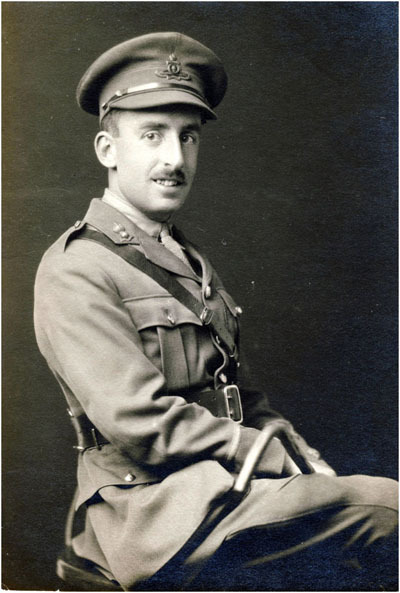 “On the 23rd July 1915 I was promoted Lieutenant. Through the Autumn, Winter and the Spring that followed, I waited for an enemy fleet that never arrived. I could see most of the Tyne defences from my battery position, but we gradually realised that we weren’t really needed. The Admiralty had no further need to call on the coastal defence gunners. Depending on your point of view, we were either a body of skilled artillerymen dying on the vine, or a pool of useful labour awaiting redeployment. “I saw my last enemy Zeppelins over the Tyne in April, 1916. Newcastle’s defence lay increasingly with aircraft and the Admiralty also ordered dozens of ‘spotter’ dirigible balloons for routine naval patrols. “Shortly afterward any involvement between myself and the Frenchman’s Point battery ended. The following month I was off to Shoeburyness in the Thames Estuary for instruction in anti-aircraft fire. From there on, I would be on the Western Front with the First Army. Although Leslie’s involvement ends there, the history of the battery does not. In WWII the position was re-occupied by the Royal Artillery and searchlight crews, who created a small military village behind the cliff-top. Unfortunately, the gunners had no previous fort book to refer to when they tried to write a history of the site, when it was decommissioned in 1945. The only information that was available was that the battery had contained two 6” guns and a 9.2” gun during the period 1914-18.